Are you looking for a healthy snack or a delicious dessert? 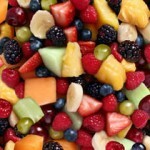 Why not try making the Caribbean Fruit Salad? Follow a recipe; follow food safety & hygiene rules; chop using the bridge/claw safely; tidy away. Mixing bowl, tablespoon, chopping board, small bowl, sharp knife, grater, lemon squeezer, teaspoon. Put the sugar, ginger and the citrus juices in the mixing bowl. Mix together. Peel and slice the bananas. Add to the juice and stir to coat the slices. Add all the remaining prepared fruit. Add the coconut (if using). Serve immediately. Take care when preparing the fruit. Juicy fruit is difficult to hold and slice. The citrus juices prevent the bananas from turning brown. 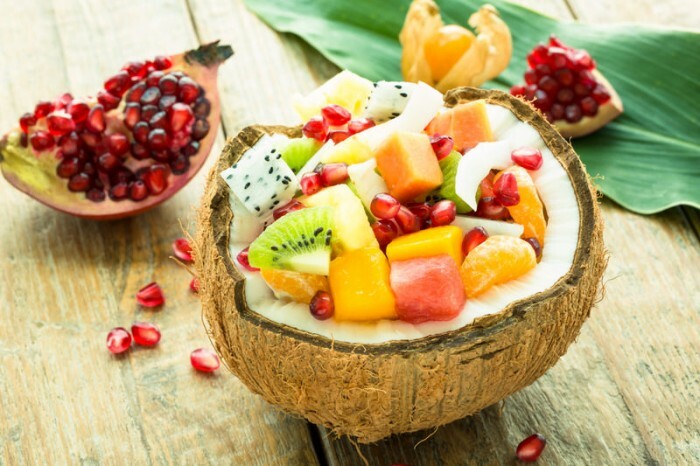 Fruit is high in a variety of vitamins, minerals and fibre, and packed with lots of different substances called phytochemicals. Phytochemicals can help protect our bodies against disease.